If you have sons or daughters old enough to start playing sports, you may have asked yourself the question: should I play several sports, or is it better to specialize already in a particular one? In health+sports we have transferred this doubt to psychologists, sports doctors and traumatologists and all agree: from both the physical and psychological point of view it is preferable that children at an early age practice several sports. This is also what scientific research says. We will explain it to you in this article. A child is never a professional, nor a potential professional. He is neither Messi nor Garbiñe Muguruza: they are children who are being formed, acquiring movements and assuming values. The sports psychologist Palma Gallego explains that in her practice more and more parents were worried because they perceived that their children were not making enough effort on a playground. This is a problem. In addition, the constant media presence of some sports to the detriment of others may push the child to choose only one sport. Since the traumatologist Sergio Tejero has some irony, there are many families who, from the age of seven or eight, direct them only towards football: “Come on, hit them with the left, which is expensive! Some exert pressure so that the boy or girl is the best in their sport and that is a serious mistake. As sports psychologist Rosana Llanes explains, great phenomena at an early age do not usually reach professionals in adulthood. She knows something about this: she was a psychologist at the Mareo football school. Variety and multilateralism. In infancy it is convenient to generate a very varied range of basic motor skills, which are, in Rodríguez’s words, the “foundations for developing in the future motor skills specific to a sport”. The aim is to open up sporting possibilities, environments, contexts and motor skills. As the psychologist Palma Gallego sums up, “the fact that the child develops skills in several sports allows him to extrapolate them to another”. Progressivity. It is important to avoid injuries and not burn stages without having taken advantage of each of them. “If you skip four steps because you want results, you’re wasting progressivity. There are also sensitive phases and critical periods. Children go through different phases in their psycho-evolutionary development, and according to each phase, the same stimulus can generate very different organic responses. If you bet on a sport, you exercise specific muscle groups and you practice specific exercises that obviate this question. Positive and negative transfers and cross-training effects. Cross training makes it possible to take advantage of a stimulus from one sport for the practice of another. For example, for a swimmer it is also useful to practice rowing, because the upper train works with the addition that it does it outdoors and in a shared environment. This, from the point of view of sports theory. But in a 1996 work, Domingo Blázquez already identified four elements of risk in early specialization: physical, psychological, motor and sports. The text had a very clear title: “The age of initiation: dress me slowly, I’m in a hurry”. Our specialists give a series of reasons for rejecting the specialization that can effectively fit into each of these groups. Multisport generates very variable movement patterns. 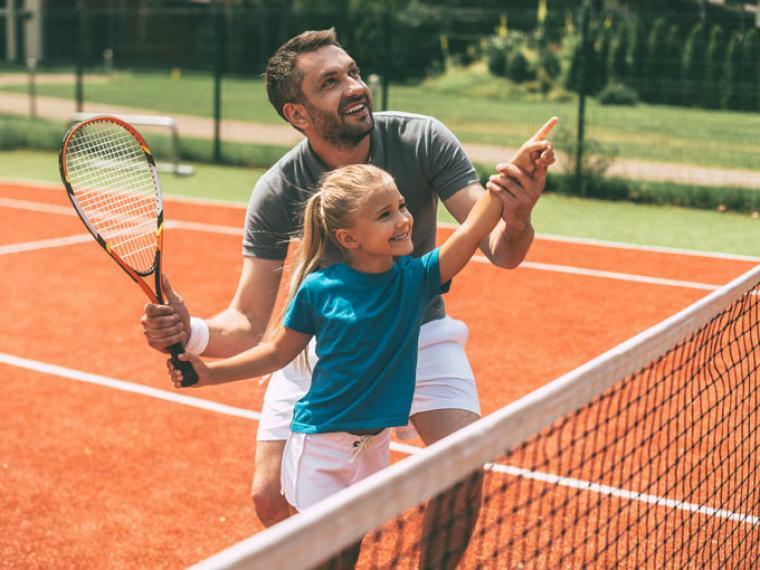 In this way, if children dedicate themselves in the future to a sport and even progress professionally, it will be beneficial for them to have acquired different motor patterns and plasticity, explains Sergio Tejero. On the other hand, specialization can cause imbalances. As Tejero himself sums up, sports such as football or tennis (and so many others) are asymmetrical: “If you put the child to do only one sport, physically the body is formed asymmetrically. Salvador Castillo, a sports doctor, explains that this imbalance can be compensated by training well and practicing other sports. This has one consequence: more injuries. Sergio Tejero, a traumatologist, says he sees many injuries caused by early specialization. There are studies (like this one or this one) that show that there are certain injuries in which early specialization is a triggering factor. This is the case, for example, of cruciate ligament rupture (study in this regard). Putting children who weigh 30 kilos to play football on fields and with balls similar to those used by adults does not seem a good idea. Rosana Llanes, a sports psychologist, recalls that the alternative between specialisation and multisport is a recurrent issue in sports science. In some sports, and at certain levels, children were even banned from playing other sports for fear of injury or working on different muscle groups. “At the psychological level, the approach is that it is better to do several sports,” she replies emphatically. “You can’t have a four-year-old do a certain sport and not do something else. You shouldn’t. “Focusing on a sport makes him a very professionalized individual from a psychological point of view and also physically from a small point of view,” he explains. “Being able to defend oneself in various ways increases the child’s confidence,” explains the sports psychologist. Palma Gallego, also a psychologist, adds another argument: “Being able to defend oneself in various ways increases the child’s confidence”. At this age, what should be sought is for the child to play, enjoy and avoid being inactive. For this reason, Gallego believes that there is not so much problem from the psychological point of view if he practices only one sport to enjoy and play; “but if it is for the child to specialise and want him to reach something at all costs, the essence is lost”. This relates to an essential concept: the burn out. Or the abandonment of sports practice. “A child who practises a sport specialising in such a small way will normally burn out sooner. They are profiles of children who give up, get bored, who lack motivation…”. If they bet everything on a sport, not reaching goals set in competitive terms can generate frustration and abandonment of the practice. At an early age, it is impossible to know which sport is best suited to the aptitudes of each child. Therefore, experts agree that it is ideal for children to practice as many sports as they can, as long as they like, trying and cultivating their innate aptitudes in a natural way.